Kick Off The Summer Of 2015! 11 Outdoor Things To Do With The Kids!! Whether kids are still in school or out, nothing is better then enjoying the outdoors, with some exercise, some sun and quality time with family and friends. Ready, Get Set, Go! Here are our ideas to help you get started. Many places can be found on our website. (check out our online bike trails). Peddling is a great form of exercise you can do with the entire family. Get away from those lazy video games! There are hundreds of trails in the NJ state park system, from easy to more advanced. There are kids' fishing derbies splattered throughout our local communities. Many lakes are stocked with loads of fish. Just bring your fishing pole, bait, chair, bucket, and family. If you missed one, don’t fret, the ponds still have fish to be caught. As a kid, it’s fun to watch the float go under when the fish is nibbling! 3. Go see the Dinosaurs at Field Station! It’s their last season lurking around the Garden State. If you haven’t seen these gigantic life size creatures, check them out. 4. Ready, set, take out the suits and head to the beach! Look for our beach exit guide. You'll find all sorts of amusement nearby. Wander around and check out what’s new and what’s been rebuilt after Sandy. New playgrounds, new shops, new boardwalks. 5. Plan out your summer getaways. Enter to win NJ KIDS’ Disney getaway! For a family of four, win a trip valued over $3000. Go online and link to our contests. 6. Hop from one festival to another! May and June is brewing with outdoor fun. Every weekend you'll bump into all sorts of cultural, artsy and jersey shore specialties and more. Don’t miss upcoming Seafood Festival and Lobsterfest, our two favorite for food lovers. Attend the upcoming Strawberry Festivals at Donaldson Farms in Hacketstown and Alstede Farms in Chester. Other strawberry picking farms include Giamarese Farm in E. Brunswick, Little Acres Farm in Pennington, and Lee Turkey Farm in E. Windsor to name a few. 8. Look for black bears...of course not in the woods, but at Turtleback Zoo. Jelly and Jam are the two bears that just celebrated their birthdays. Also, say hi to the Sea Lions, Sting Rays, Monkeys, Wolf, pet the farm animals and more. Next door, there’s a Treetop adventure course, mini golf, train, iceskating (not just a winter sport), boating. You can be there all day. If you look around your neighborhood, you may find some convenient and age appropriate hiking paths. Right behind the Turtleback Zoo, there’s a great outdoor space, with a 1.7 mile jogging path surrounding a pond with row boats, a ship park, picnic area and benches. Look for other hiking opportunities in the NJ State park system and you'll be pleasantly surprised. There are even fishing sections to cast the line. 10. 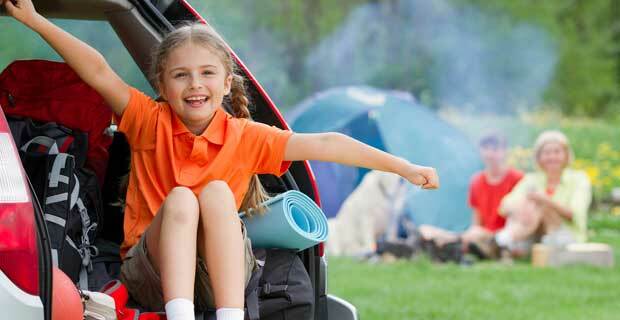 Plan out your child’s summer camps! If you haven’t reserved your spot, camp start right after school is over. Flip through NJ Kids’ Camp Guide. There’s numerous ways of expanding their brains and exercising their bodies, and making new friends at the same time. Visit camps if you haven’t done so. There’s still spots left. Don’t wait. 11. Organize a neighborhood car wash or just your family’s cars and then spray each other!